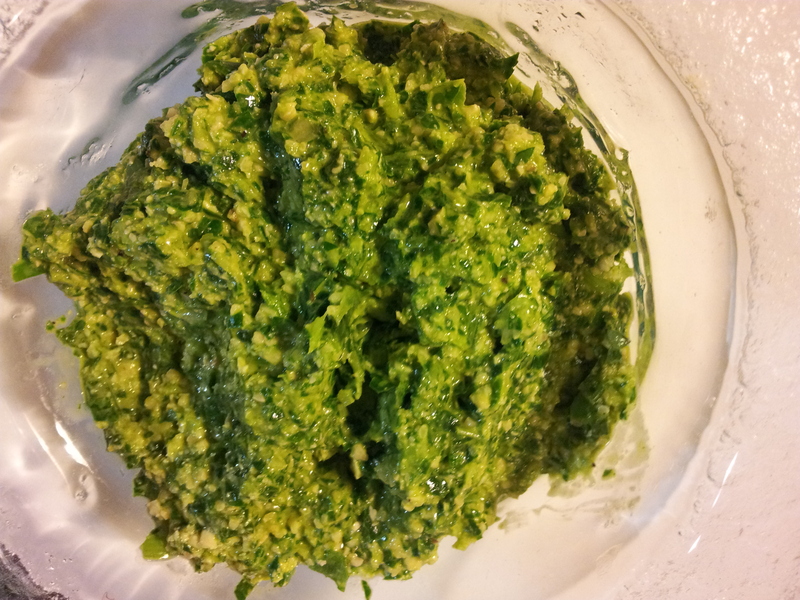 Pesto is incredibly versatile and can provide both colour and flavour to your meals. 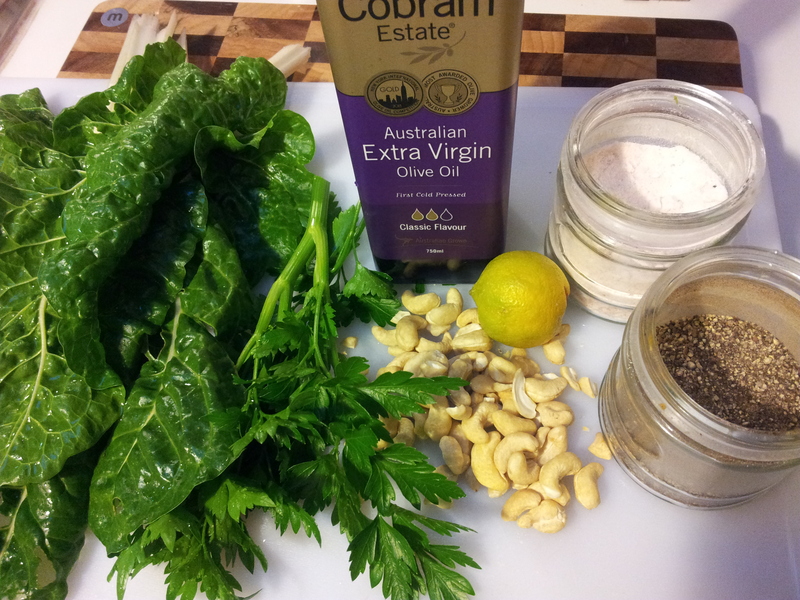 This silverbeet based pesto is vibrant in both colour and flavour and is free of gluten, dairy and sugar. 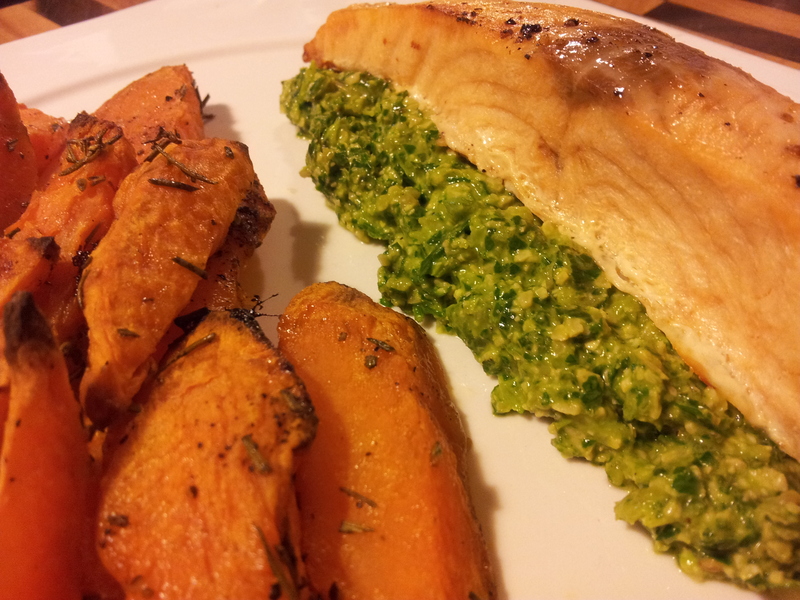 Baked salmon on a bed of silverbeet pesto with rosemary sweet potato chips. Most pesto’s have lots of garlic in them but l haven’t put any in this recipe as l react badly to it, but if you love garlic add a clove or two. Add some sparkle to a meal with this delightful pesto! 1 dessertspoon organic apple cider vinegar. 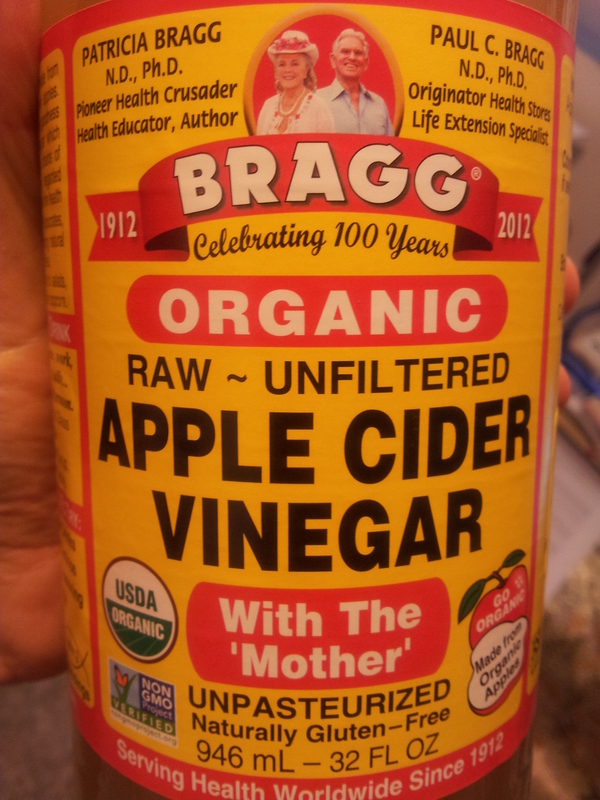 My favourite Apple Cider Vinegar. The one you buy at the supermarket tastes nothing like this amazing product. Give it all a whiz in the food processor until well chopped and blended. Have a taste and see if any adjustments need to be made such as more oil or seasonings. 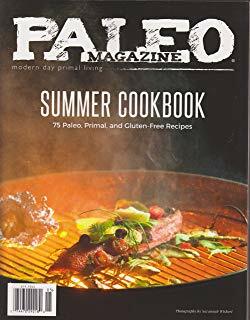 I served it with both hot and cold meals and it was so delicious and added a real zing to the meal. 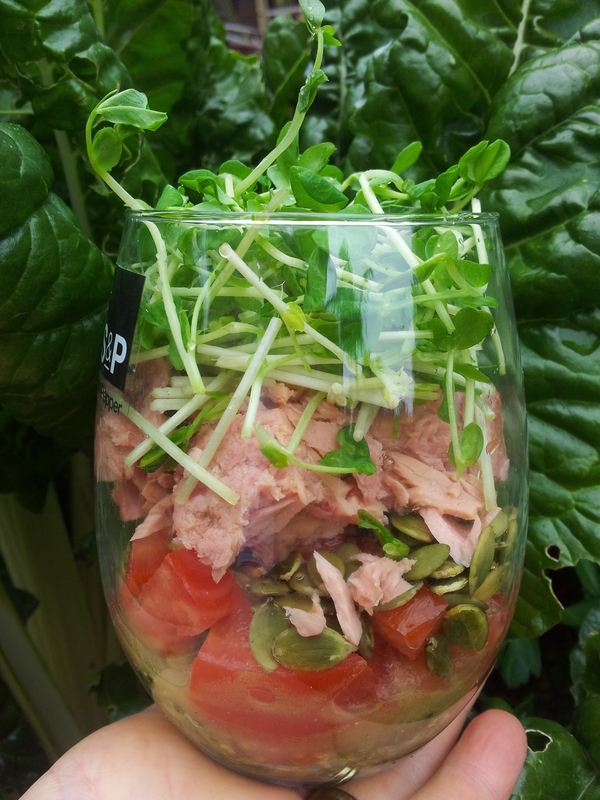 A salad in a cup with layers of silverbeet pesto on the bottom, then pumpkin seeds, tomato, tuna and chopped snow pea sprouts.